No one can stop this family from having another baby! Their unique way of pregnancy announcement is addressed to haters who questions why add another one… and it is a song that conveys even if they are expecting another one, they are still happy and can’t wait for it to be born. This family already have three babies and their expecting one more. For some people having more than one kid is already considered it a handful and so this family made a parody video of Miley Cyrus’s song ‘We Can’t Stop’… and the wife channels her inner Miley and sing to the world that no one can’t stop her from having another one! Watch this hilarious parody video below. I myself came from a big family and I also want one for myself. As long as you can provide for them then there’s nothing wrong having even a dozen. 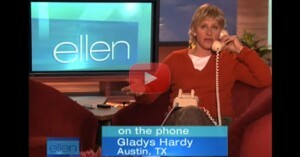 She Made A Call To A Fan…But Didn’t Expect The Fan To Say This! Rihanna Snuch Into Jimmy Kimmels Home Late At Night…And It’s Caught On Video!